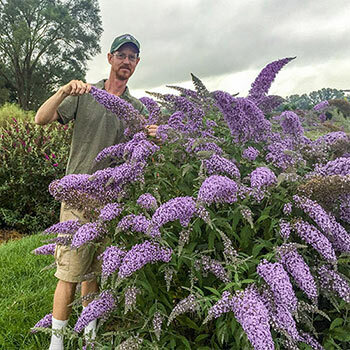 Grand Cascade Butterfly Bush - Buddleia | Michigan Bulb Co. 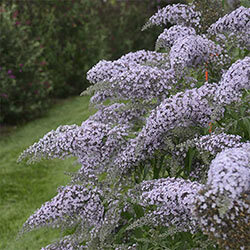 Flower Form: Very long 12-14" lavender flower panicles that grow 4'' thick. Planting Instructions: Set plant at same level it is growing at in the container. 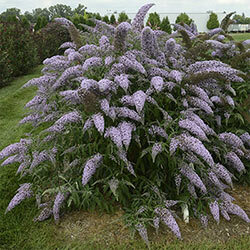 Plant in fertile, moist and well-drained soil. Firm soil and water thoroughly. Pruning: They die all the way back to the ground in northern winters, it is best to cut back all of the old wood to about 12" in the spring. This will result in more compact plants. Flowers bloom on new wood. Additional Information: Should receive 6 or more hours of sunlight.